Haven’t yet found the perfect Frugalista gift? Some great last-minute gifts follow. You’ll find all the suggestions at local Nordstrom’s. All of them on sale. 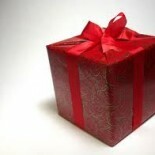 No expensive same day air or hoping and praying the gift arrives. DAD A SOCIAL STYLE KING? You’re really in luck. Nordstrom‘s half-yearly men’s sale is going on now. Dada could get much use from the Nordstrom Herringbone Egyptian Cotton Fit Dress Shirt. He’ll wear it for work, play and special occasions. In regular, big and tall. Or, for the more laid back Dad take a look at the Tommy Bahama Linen Sport Shirt. Dad (or Mom) will love that it’s machine washable. Pops may go for a more casual look. If he plays golf, he can sport the Lacoste Pique Polo. In five vibrant colors. Nordstrom’s half-yearly men’s sale offers a large selection and variety of shirts. Could Apa use a pair of Tretorn ‘Smogensson’ Slip-on shoes for his running around? Perhaps the Kenneth Cole Reaction Slip-on. Several other slip-on styles are included in the half-yearly sale. May you find the perfect gift for Father’s Day. This entry was posted on June 15, 2013 by frugalistagiftguide in Accessories, men's, Occasions, Sizzling Sales/Bargains and tagged Father's Day, Frugal, Frugalista gifts, half-yearly sale, last minute selections, Men's, Nordstrom, shopping.